Reviewed September 10, 2012 by Renee Q. 1) Courteous and responsive communication – Bonnie and Raul both emailed several times to confirm our arrangements and answer our (many) questions. 2) They work around your schedule – We basically had a private tour on the dates we wanted – with no additional cost – because Alpaca doesn’t force you to book when they want to go, they let you choose when you want to (which was nice compared to other companies which leave ‘every Sunday.’) I expected since we booked early, others would be added into our group. But Raul informed us that it was just the two of us and took us without complaining even though I’m SURE he didn’t make money. 3) The food is amazing and varied – I have no idea how chef Mario made us a cake on the trail, but he did. Also fried chicken, steak, the BEST porridge I have ever had in my life (my boyfriend had 3 helpings), cauliflower fritters (AMAZING) and if you can believe it, bananas flambé. Also I am allergic to peanuts and don’t eat red meat and it was never an issue…there was always lots to eat. 4) They put your safety first and move fast if there is a problem – I was feeling great in Cusco and on the first day of the hike, so I didn’t take altitude meds. But on the second day, Raul noticed I wasn’t well and suggested I take them. He was right…I got really sick the higher we went. He gave me oxygen, put me on his back and basically carried me down about 500 feet in 15 minutes. He let me rest and recover for a few hours before we reclimbed that part of trail. He was patient the entire time and didn’t put any pressure on me. 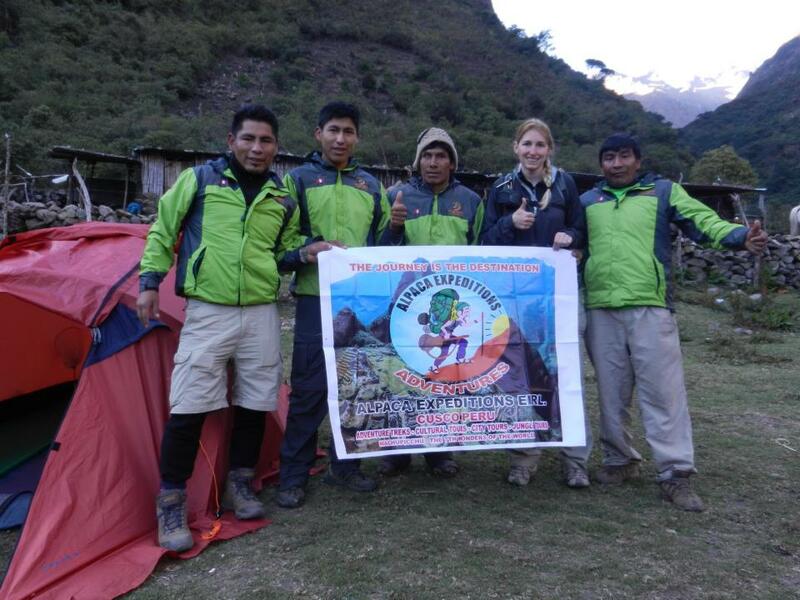 5) The entire team was incredibly supportive – Two of the porters came down to help when I got sick. One ran down from the lunch site in about 10 minutes. He carried my day pack and water back up. The other was the chef and he brought me coffee, food and water. They were all so patient and giving me physical and moral support to make it up there. 6) They are flexible – My altitude sickness put us behind by half a day. We made it up on the next day, which meant everyone had to walk really far. The team was cheerful about it and the porters even ‘fought’ when another group claimed our campsite because they thought we weren’t going to make it! 7) Raul’s passion for his culture and knowledge of history – Even though I had read a few books about Incan history, Raul’s storytelling made it come to life for me, so much so that I actually got teary listening to him talk. 8) Porters are treated like family – Porters do not have to buy their uniforms, like some companies make them do. They all had good footwear (instead of sandals) and proper packs (instead of plastic tarps held together with rope like other porters had.) It honestly felt like I was walking around with a few of my little brothers – you can tell they all like each other and enjoy working together. 9) They are good to the environment – I saw them cleaning up the campsites and picking up bottles that others had thrown out on the trail. Raul also mentioned when he does alternative treks he takes 2 porters along to clean the trail since it is not regulated. 10) New, clean and comfy equipment – The sleeping pads were awesome! We were really comfy. The tent seemed fairly new and kept us dry throughout a few rainy nights. 11) (Bonus) They go above and beyond: Let’s face it, toilets on the trail aren’t great. There was one that was REALLY bad and Raul knew it would be, so he ran down before I got there to clean it out with water so I wouldn’t have to. He absolutely didn’t have to do it, but he wanted to make sure I was as comfortable as possible. 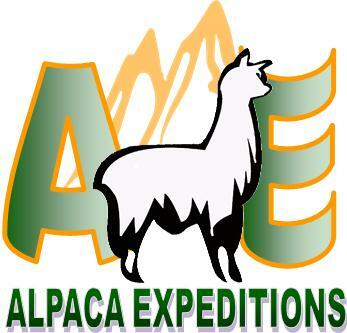 In a nutshell, if you want to have an amazing time with a fun, knowledgeable and ethical company, go with Alpaca Expeditions. Raul and his team were incredible!